Lick Observatory will be closed to the public from Monday, September 12, through Wednesday, October 5, for building maintenance. Work to be done during the closure will include painting of the exterior of the main building and repairs at the entryway to the Shane Telescope dome. "At 123 years old, the main building's exterior is in need of a face-lift," said John Wareham, deputy director of Lick Observatory. "In spite of the difficult budget times, we are able to get it painted this fall thanks to the generous support of our visitors. All of the funds for this project came from gifts, large and small, that we have received over the years." The observatory will reopen to visitors at noon on Thursday, October 6. From October 6, 2011, through May 28, 2012, the main building will be open to the public from noon to 5 p.m., Thursday through Sunday. The visitors' gallery at the Shane Telescope dome will be open from 10 a.m. to 5 p.m. every day during this period. More information about visiting Lick Observatory is available online at www.ucolick.org/public/visitors.html or by contacting the gift shop at 408-274-5061 or giftshop@ucolick.org. 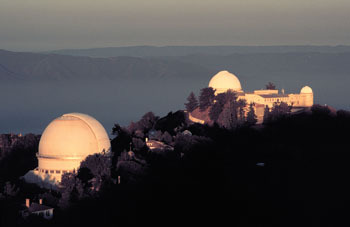 Lick Observatory is an astronomical research facility operated by the University of California Observatories. Its administrative headquarters are on the UC Santa Cruz campus.